The sheet music notes for Baby Can I Hold You are in the keys of G Major And D Major. The song was written and recorded by Tracy Chapman. It was also covered by boy group Boyzone. 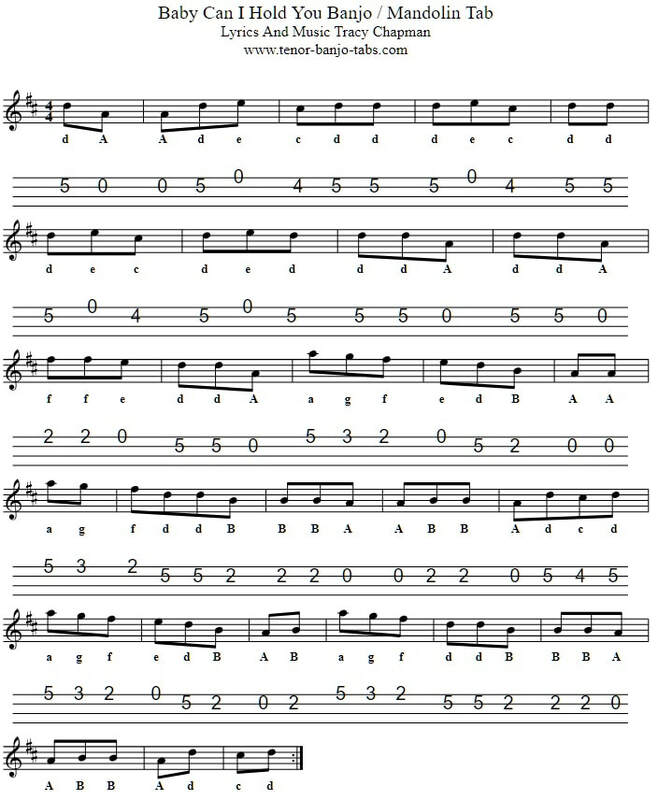 Below is the other version of the music in a higher key of D Major.